Johnson String Instrument: violin, viola and cello sales, rentals, strings, and accessories, plus sheet music, and much more. Acoustic & Digital Piano Buyer – Provide information on many aspects of buying a piano. Even it is a new, used or restored piano, you will find the information you need to make a good choice. 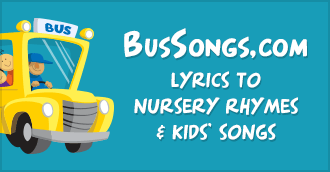 BusSongs.com – a great place where you can find children songs & nursery rhymes. All new and old songs your kids sing on the bus, the camp or the field trip. Acoustic Bridge – a helpful website makes it easier to learn piano, guitar, ukulele, banjo and mandolin. MIDI MAGIC STUDIO A Recording Studio for Songwriters and aspiring Artists with the latest State-of-the-Art Digital equipment. An Award Winning web page with a wealth of free information and advice for Songwriters and Vocalists trying to break into the Music Industry presented in a very “down to earth” and straight-forward way. Discounted Drums & Percussion: Online since 2002; great prices & selection; focused customer care; educational info, videos & resources for all who love drums, percussion & music! ClassClef.com -ClassClef is a non profit website dedicated to all classical guitarists seeking free sheet music, gpx and midi.